Android Nougat 7.1 ROM, Galaxy S3 Lineage OS 14.1 has now arrived via an UNOFFICIAL build. Also the OFFICIAL Galaxy S3 Lineage OS 14.1 is available to download from Lineage OS official website. Check the downloads section for the download link and update guide. This Lineage OS 14.1 for Galaxy S3 (i9300) is brought to you by developer Beardymarrow. If you want more Nougat ROMs for your device, then here we have the Nougat ROMs collection for Galaxy S3. If you want some more Lineage ROMs for other devices then stay tuned the Lineage OS 14.1 ROM collection page. THIS IS AN INITIAL BUILD WHICH MAY NOT BOOT AT ALL. HAVE A BACKUP BEFORE FLASHING THIS AND TRY AT YOUR OWN RISK. Installing a custom ROM on a Galaxy S3 (i9300) requires the bootloader to be unlocked on the Galaxy S3 (i9300) phone, which may VOID your warranty and may delete all your data. Before proceeding further you may consider backup all data on the phone. You are the only person doing changes to your phone and I cannot be held responsible for the mistakes done by you. If you want to upgrade this OFFICIAL Lineage OS 14.1 on top of CM14.1 ROM without wiping data then you can refer this CyanogenMod to Lineage upgrade guide. 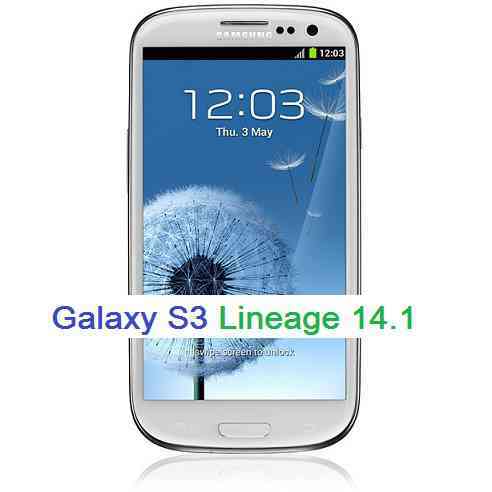 – Here is the Lineage OS 14.1 EXPERIMENTAL link for Galaxy S3 (i9300). – Thanks to Carlos Barba García for this upload. Download and Copy the GApps and Galaxy S3 Lineage OS 14.1 ROM ZIP to your phone. First flash the Galaxy S3 Lineage OS 14.1 ROM ZIP from device. Then flash the GApps zip from your device memory. Reboot and Enjoy the Nougat 7.1 Lineage OS 14.1 ROM for Galaxy S3 (i9300). Copy the latest Galaxy S3 Lineage OS 14.1 ROM ZIP file to your phone. Stay tuned or Subscribe to the Galaxy S3 (i9300) forum For other Android Nougat ROMs, Lineage OS 14.1 ROMs, other ROMs and all other device specific topics. when will compatibility with the sgh-i747 d2att come out? It all works, better than the CM14.1! Very quick! Any chance of a Changelog so we know when to update. To anyone installing, can I recommend the Full Stock Gapps. is it ok to install for daily use? I’ve installed the 4th Jan one. Only one item has stopped once, but it was fine. I suggest the Full Stock Gapps as then you don’t have problems with the other ones and it works great especially with the pixel launcher. I also suggest going to Settings/Display/Display size and making it slightly smaller. Look loads better. So much quicker than the official Cyanogen Mods. I also suggest not been a nightly updater unless there is something you want, once it work it works! But yes, I use daily. Thanks for the quick reply, I’ll try and report back.